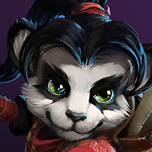 Do you think we will get this hero ? Of course, it wouldn't be a solitary zergling. it'd be *at least* a pair if not a small group of them. We have a lot of other StarCraft hero priorities. Units are not heroes! 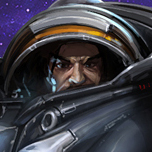 Units must not make us wait for other Legendary StarCraft Heroes! After we runing out of Legendary heroes like Talandar, Vorazun, Aldaris, Kaldalis, Deguelle, Samir Duran, Isha, Zasz, Daggoth, Niadra etc. we can have units as heroes of course! But heroes can basically be units.More powerful and unique versions of them. We already have multiple heroes like this, both literally(e.g., lunara, BW) and functionally/kit-wise(e.g., valeera, fenix). Hell, in their original games, some heroes were literally "super units" of their base one. Well, when talking about zerg, there are not many options. Zasz, Daggoth, Izsha and the Overmind are non-combatants, and you can include one or two of them as global heroes like Abathur, or even that rumoured core hero. I'd love seeing the Overmind like that. Lol, I imagine when the game starts: a drone puts a khaydarin castle in the original core. Then, the Overmind comes from the air and smashes the core, installing itself there. But, as I was saying, that's about it when talking about the classic zergs. And there are some primal zerg characters, but let's be real: they don't represent the zerg we all know and love. They look and feel different and I don't want primal zerg to substitute classic zerg. 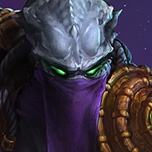 So in the end I think it would be a good thing if they include zerg units as heroes. 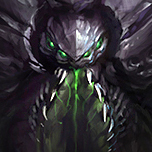 In fact I think Hunter Killer should be a hero and not just a Zagara summon. And the same can be said about Torrasque. 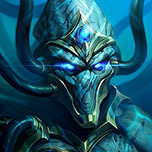 So, I'm sorry, darling, but yeah, units ARE heroes and they WILL continue to introduce original characters to represent units, and if we have a probe and a baby murloc as playable characters, then zerglings have even better chances than you think. 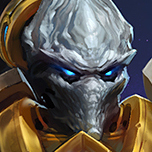 And I still hope for Mukav to represent Queens, Green Eyes to represent Overlords and the Wise Old Torrasque to represent Ultralisks (specially because "Wise Old Torrasque" can be abbreviated just like "E.T.C." and I want to say that I played with a hero named "W.O.T. ").